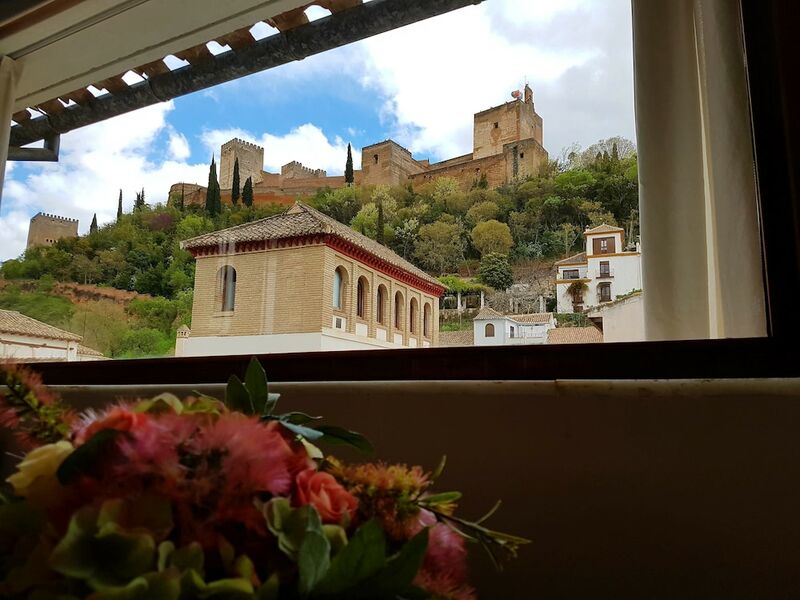 With a stay at PALACIO COBERTIZO DE SANTA INES, you'll be centrally located in Granada, just a 4-minute walk from Plaza Nueva and 9 minutes by foot from Granada Cathedral. This 4-star bed & breakfast is 0.4 mi (0.6 km) from Mirador de San Nicolas and 0.1 mi (0.1 km) from Alhambra. Make yourself at home in one of the 2 individually decorated guestrooms. Your bed comes with down comforters and Egyptian cotton sheets. Complimentary wireless Internet access is available to keep you connected. Private bathrooms with showers feature complimentary toiletries and hair dryers. Enjoy recreation amenities such as an outdoor pool or take in the view from a terrace. This bed & breakfast also features complimentary wireless Internet access and tour/ticket assistance. Getting to the surf and sand is a breeze with the beach shuttle (surcharge). Continental breakfasts are available daily from 8 AM to 10:30 AM for a fee. Featured amenities include express check-in, express check-out, and complimentary newspapers in the lobby. For a surcharge, guests may use a shuttle from the hotel to the airport (available 24 hours) and a train station pick-up service. The seasonal pool will be open from July to October. Pool access available from noon to 8 PM.